One student from each school in the Long Beach Unified School District was honored at the recent Most Inspiring Students Awards held at the Long Beach Hilton. 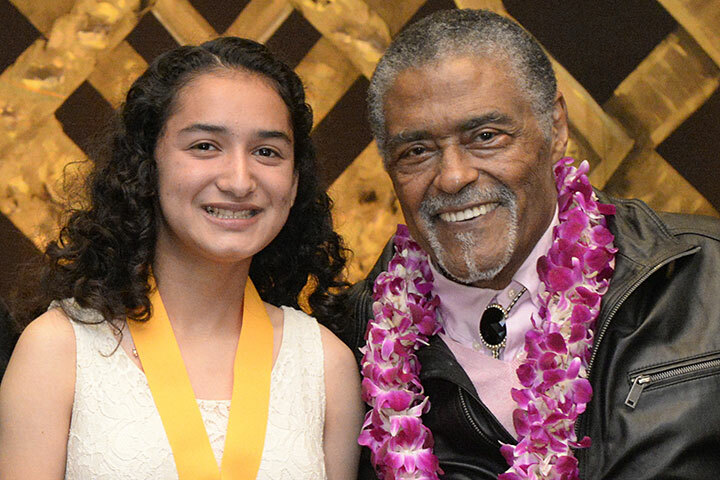 Pro football legend, actor, singer, author and minister Rosey Grier was the keynote speaker at the event. Frank Mottek, news anchor for KNX 1070 Radio, shared Master of Ceremonies duties with Long Beach Education Foundation President Mike Murray. Proceeds from the annual event go to the Foundation and its work with students.